HR managers have more options than ever before to automate processes. Software bots are taking over routine work, and chatbots are now augmenting the work of recruiters. And their options keep growing, which will likely make HR automation a leading topic for organizations in the year ahead. The big question is, will HR automation lead to eliminated jobs or will it make jobs all the more interesting by offloading tedious work to machines? While there is evidence that automation may eliminate some jobs, the research is far from conclusive. 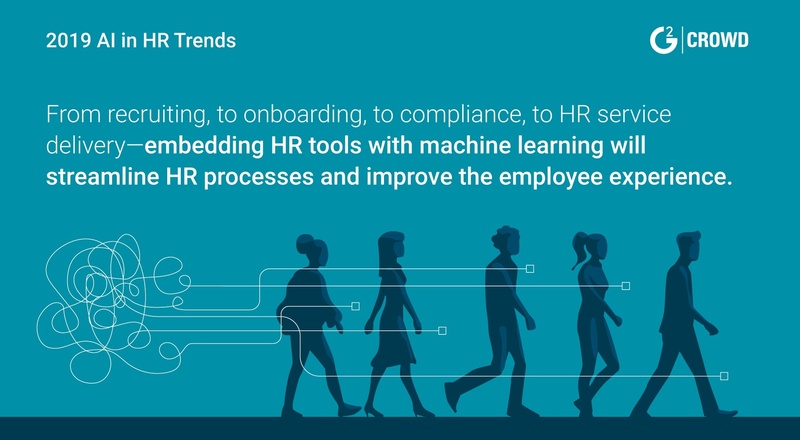 Along with the hype around HR automation, here are six more trends HR pros should keep their eye on in 2019. 1. Will HR staff grow or shrink in 2019? Software bots are taking over work in HR departments. These HR automation tools are designed to perform transactional work, such as updating employee addresses and managing payroll processes. They follow a script to complete rote tasks. Chatbot systems are being used on corporate job sites to answer basic questions from job seekers; the chatbots can use text to converse with a job prospect. Voice capability is not yet an option in many of these deployments, but that may begin to change in 2019. According to Gartner, large annual engagement surveys will continue their steady decline next year. The research company predicts that only 74% of companies will use an annual survey in 2019, down from 90% in 2015. By 2020, Gartner believes only 63% of organizations will still be using this engagement tool. The use of virtual reality (VR) to train employees will continue its march to mainstream adoption. For now, deploying VR technology is expensive, but companies that can scale their investments, such as Walmart, are making it work.